Why are there line breaks inserted into the email document in plain text mode and how can I fix the problem? 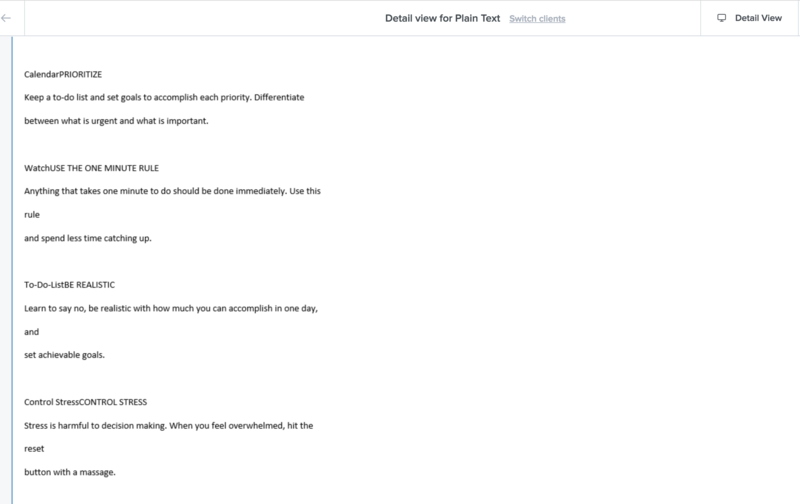 How do you generate your plain text email? If your ESP auto-generates your plain text version then this could be why you're seeing line breaks where you don't want there to be. You should be able to edit your plain text version within your ESP. Jaina thanks for the info!